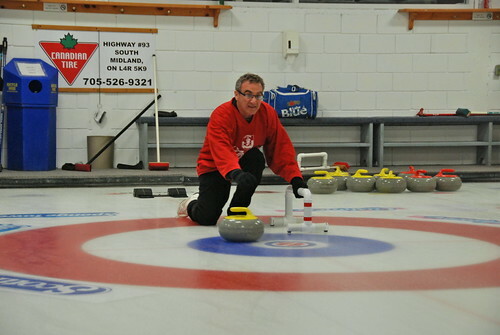 * Saturday, February 9th, 2019 - Valentines' Dinner and Dance fundraiser - In Support of The Townsend Smith Foundation of Milton - For details see our Facebook event. 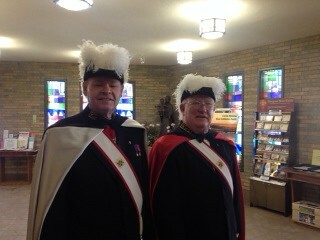 The Knights of Columbus are awarding 2 scholarships of $1000.00 to two successful candidates meeting the criteria listed below: The focus of the awards is on commitment to further education - the scholarships will acknowledge two members of Holy Rosary Parish for commitment to further their education in a college or university program or a trade. 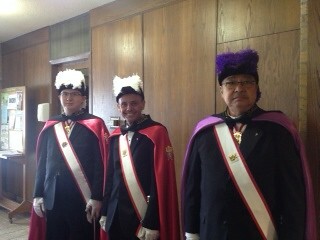 The awards may be used at the discretion of the winners upon proof of enrollment into their chosen program. 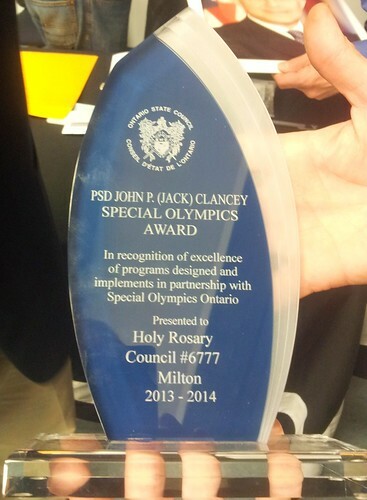 The John P. (Jack) Clancy Special Olympics Award is an Ontario State award presented to a council for the most outstanding contribution to Special Olympics including volunteer hours, fundraising or financial support, number of members helping with Special Olympics and number of events that members and families volunteer for. 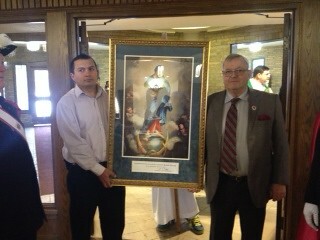 This year at the Ontario Annual State Convention, our council was presented the Jack Clancy Award. 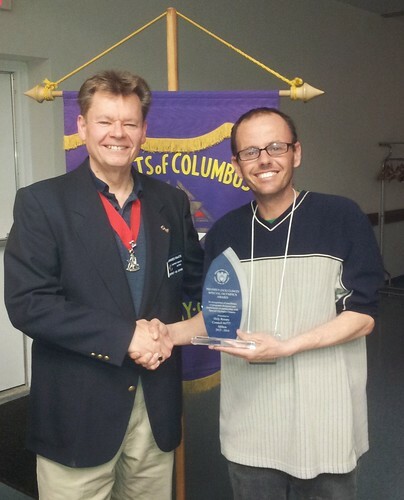 Below, District Deputy James Raats presents Grand Knight Kevin Guthrie with the award at our May General Meeting. 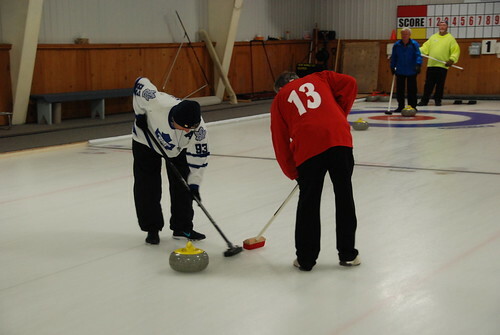 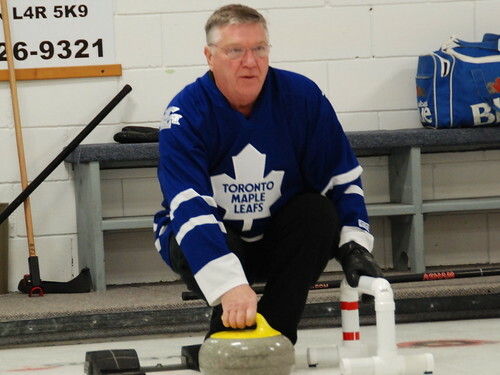 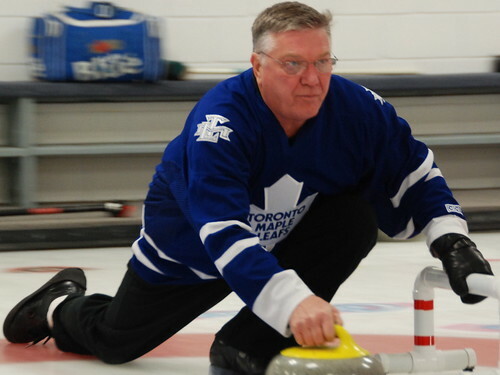 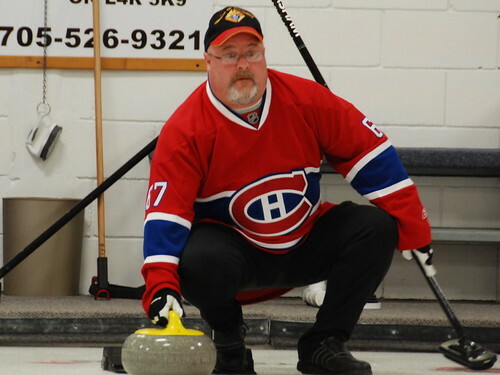 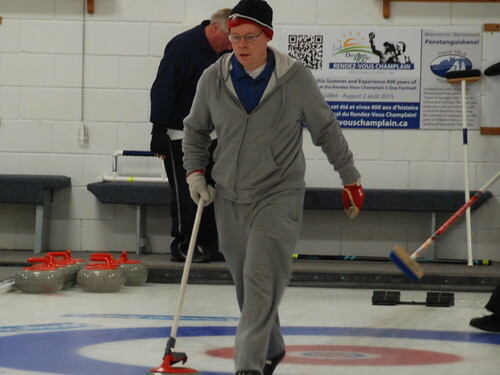 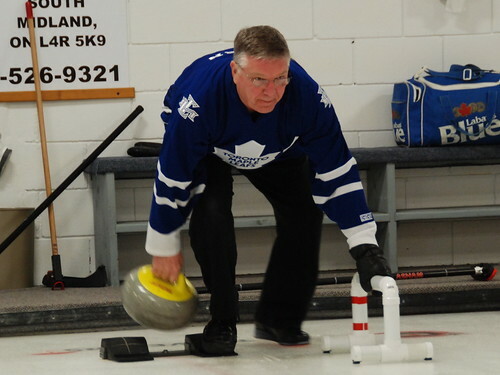 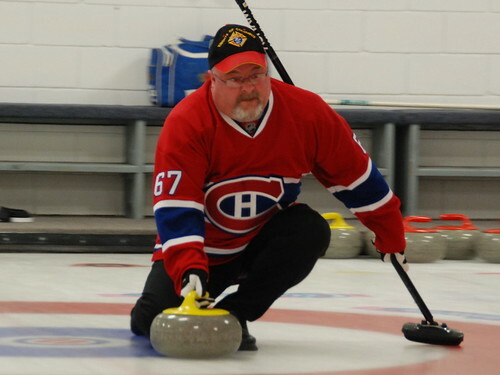 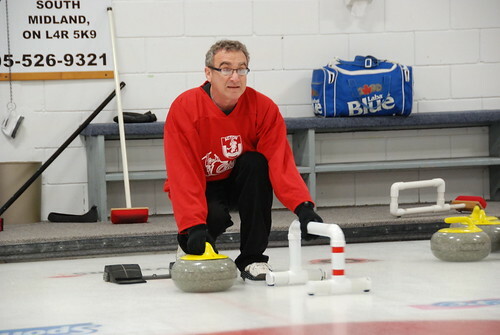 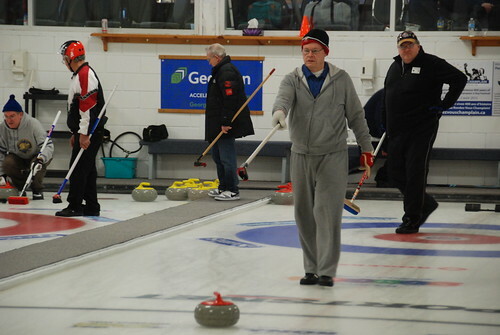 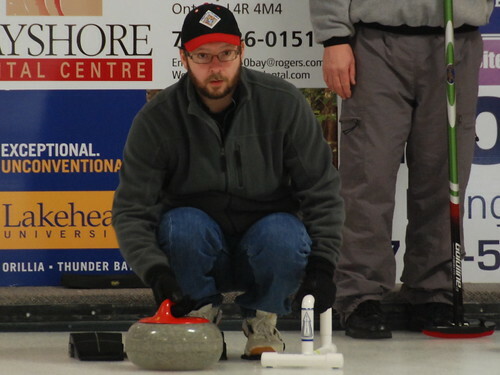 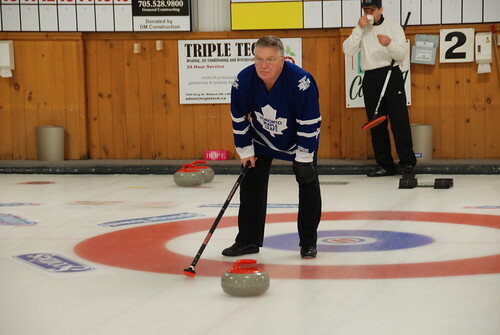 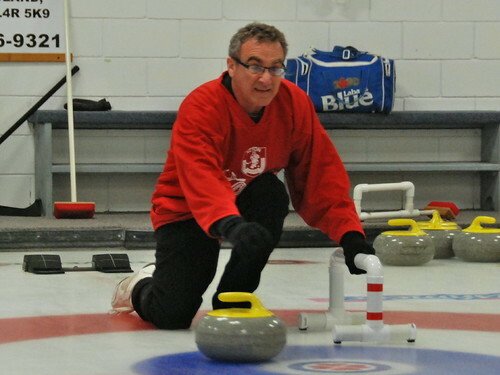 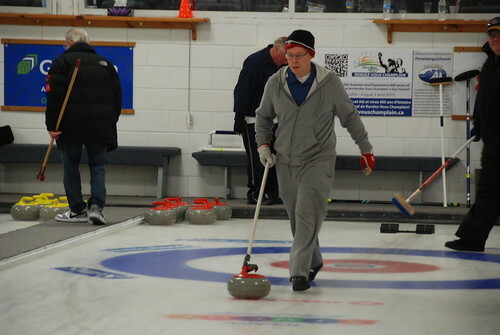 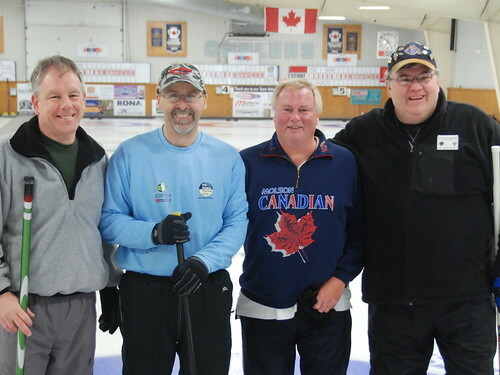 This year our council had two teams participating in the 2015 Ontario State Knights of Columbus Curling Bonspiel taking place in Midland and Penetanguishene. 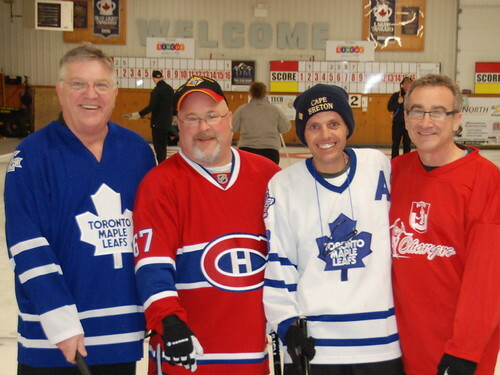 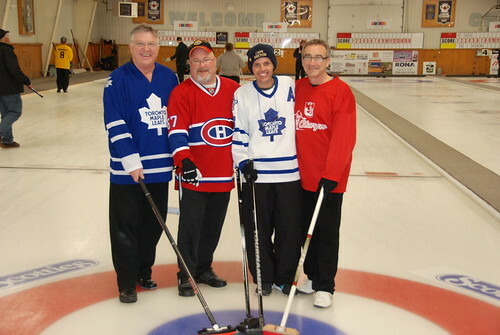 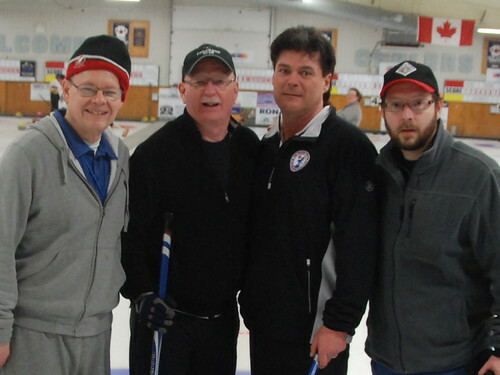 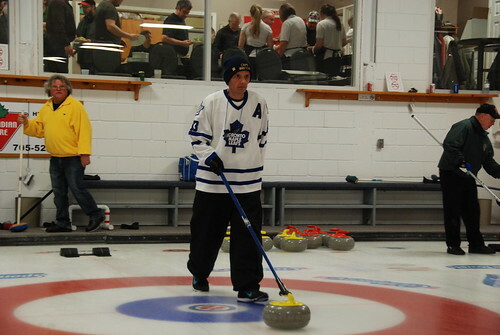 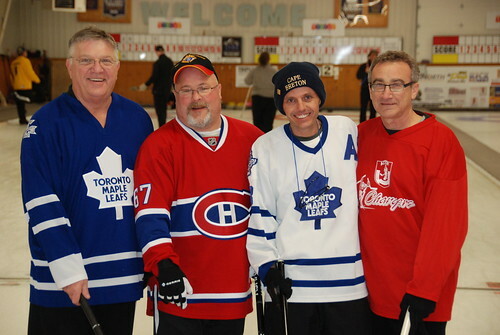 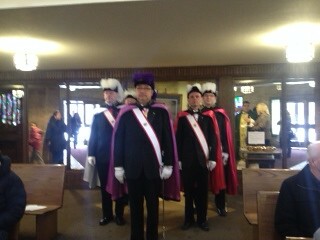 There was a lot of fun, brotherhood, curling and socializing with our Brother Knights from councils all around Ontario. 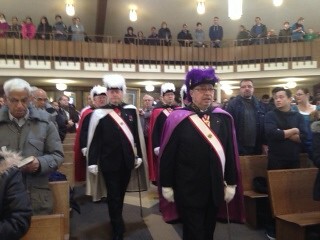 Below are some pictures from the event. 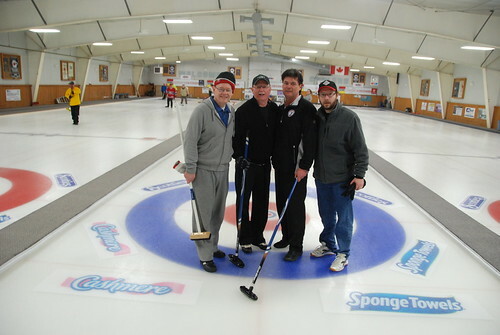 Team 2: Bill Allen, Colin Genier, Kevin Guthrie, Daniel Varanelli. 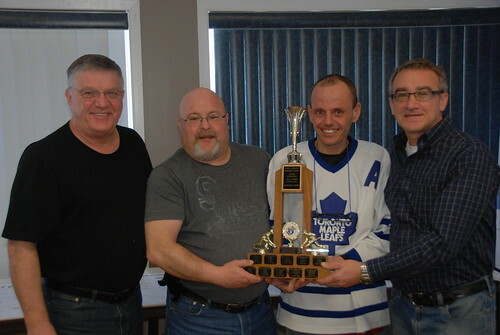 And congratulations to Team 2 on winning the 2nd Event of the Nina Division. 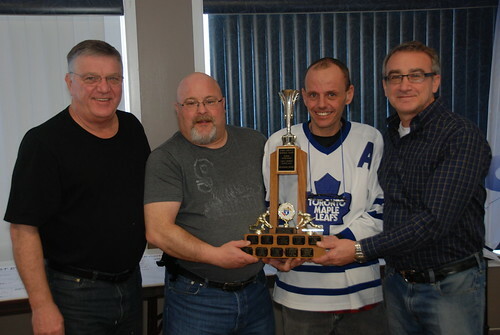 Pictures below with them proudly displaying their trophy. 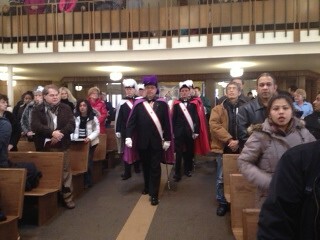 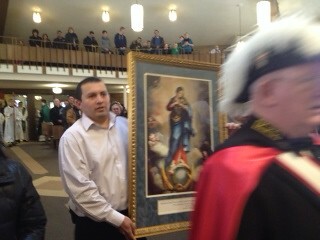 Click below to view some pictures from the procession of the Our Lady of Immaculate Icon into the 11:30 mass at Holy Rosary Parish. 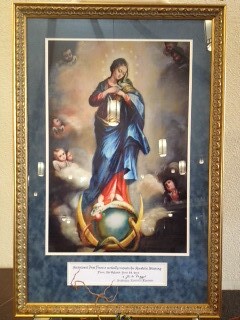 For more information on the Immaculate Conception Prayer Program, click here to go to the Knight of Columbus Supreme website. 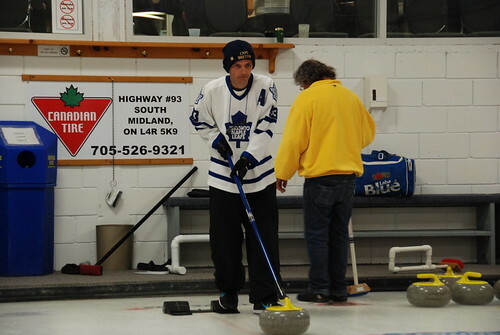 Instructions: Click on a photo to display a larger version. 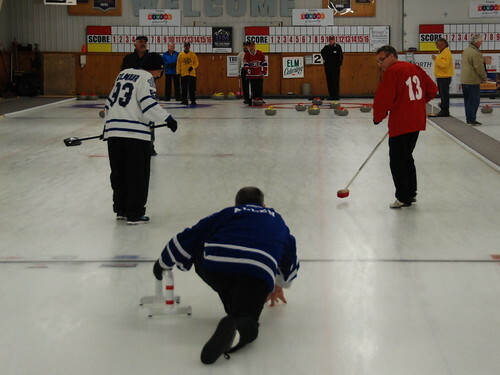 When displaying a larger photo, press the left or right arrow keys to scroll through the pictures. 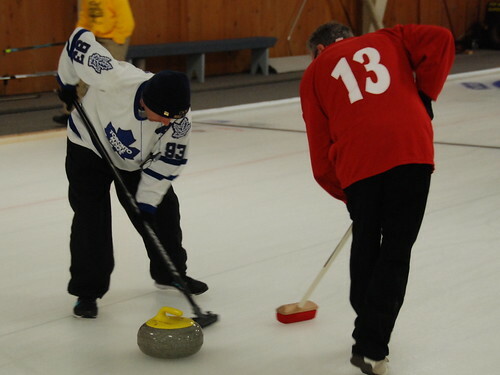 Click the 'X' or press ESC to go back to the picture list.